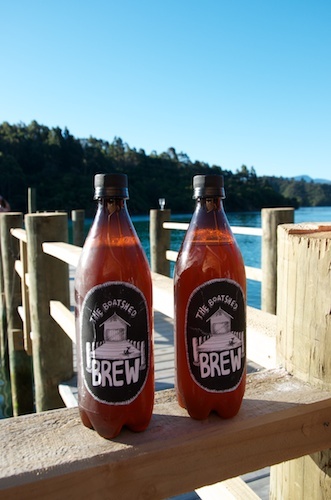 …or pouring the beer we brewed for the occasion. At any rate it was a great party, a perfect night in early January, and the culmination of many months of hard work – the building I mean, not the brewing. 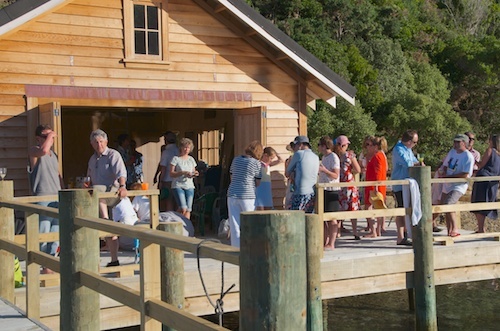 We invited about forty guests – anyone we knew within sailing distance of our bay in the Marlborough Sounds – and we welcomed them with ice cold beer and punchy margaritas. 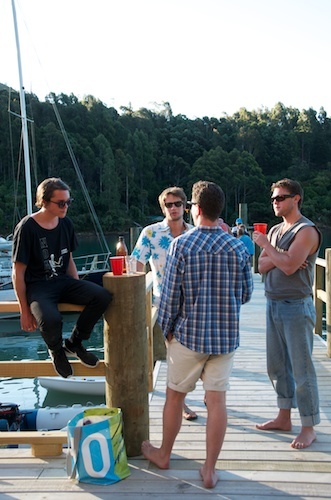 The evening rocked on with an opening ceremony, speeches, a Mexican feast and a concert from the hastily assembled Marlborough Sounds Ukelele Orchestra. 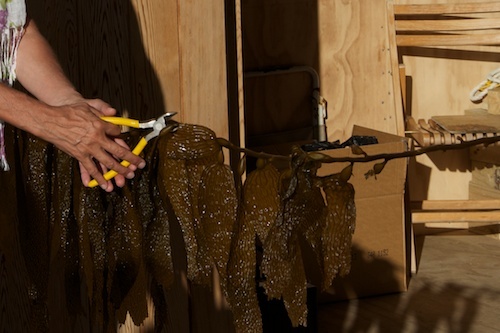 The food was a labour of love. Four of us had spent the previous day hand-pressing 125 tortillas which we presented with bowls of spicy pork, chicken, beef, chilli, avocado, coriander, tomatillos and anything else we could rustle up. I’m now sold on tortillas as a way of feeding the troops. 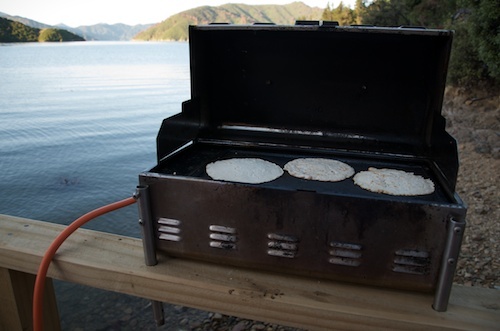 (The proper maize flour and the requisite cast iron tortilla press can be bought from Ontrays in Wellington). 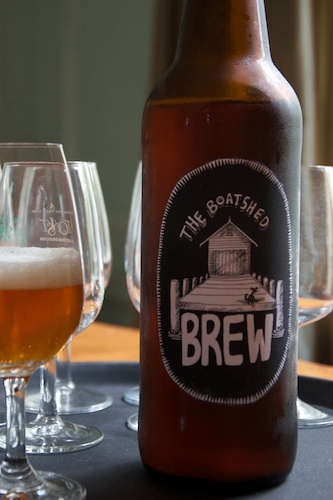 I’m also sold on our Boatshed Brew as the perfect drinking partner for a chilli-based meal. My son Jimmy and I brewed it back in October (see previous posts), an IPA with an extra dose of cascade hops. I think it was the hops that gave it such a fabulous nose – refreshingly citrus with a touch of blackberry. To be honest, it under-delivered on the taste. I found it a bit lean and short but Jimmy reckons it’s a great ‘session beer’ so we’ve tweaked the recipe and made another batch for late summer drinking. The label, by the way, was designed and drawn by daughter Maddie. The black blob at the end of the jetty is a fair rendition of Jeb, the dog.